Cook County Board President Toni Preckwinkle wants Arab American voters to think she is a “friend” of the Arab American community. But the truth is Preckwinkle is personally responsible for destroying the career of the only Arab American to ever serve on the Cook County Board, Commissioner John Fritchey. Fritchey is Moroccan and probably the only Moroccan elected official in the country. On Nov. 6, 2018, voters will go to the polls and elect candidates for local, county and statewide public offices. The choices are the top candidates who won the primaries last March, and you can support Democrats, Republicans, Independents or write-in candidates. I have one rule when I vote for a candidate: who is most responsive to the needs of the people? And in Illinois, the most important issue comes down to taxes. Who advocates for unnecessary and unfair taxes, and who doesn’t? For me, the most important race involving unfair taxes is in the 17th Cook County District where Republican Sean Morrison faces a challenge from newcomer and Democrat Abdelnasser Rashid. As a Democrat and as an Arab American, it doesn’t score many points for me with some that I am supporting Morrison. But no matter how much I say I am not against Rashid, a Harvard graduate, and that I am for Morrison, doesn’t seem to matter to some voters, including some Arab Americans. To me, the real issue is Cook County Board President Toni Preckwinkle, and her dual actions, one to impose an oppressive tax on taxpayers, and another one involving the Arab American community directly. Cook County Board Member John Fritchey, Cook County’s only Arab American Commissioner unseated by Toni Preckwinkle. 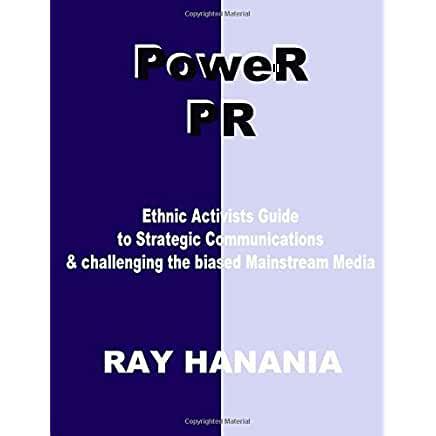 I’ve covered politics and engaged in political media consulting since 1976 when I first interviewed Mayor Richard J. Daley at City Hall, invited by him to document Daley’s meeting with the ambassador of the Arab country of Morocco. Morocco was the first nation to recognize the United States in 1777 after America declared independence in 1776. It’s an event that should not go unnoticed and in a way has real meaning for me in this election race. Morrison has been the “Maginot Line” when it comes to protecting the interests of Cook County taxpayers. Those of you who served in the U.S. military, as I did, know what I am talking about. If it wasn’t for Morrison organizing the opposition, taxpayers in the county would still be paying Cook County Board President Toni Preckwinkle’s oppressive one cent per ounce tax on soda pop and sweetened drinks. Morrison voted against the soda tax, which was initially approved by the County Board in an 8 to 8 tie vote that Preckwinkle broke by casting the 9th vote and forcing the taxes’ adoption. Despite its passage, Morrison convinced supporters on the board who voted for Preckwinkle’s soda tax to reverse their vote. Morrison was convincing in explaining how the Preckwinkle tax would undermine businesses in Cook County and place an undue burden on the county’s taxpayers and homeowners. It is a FACT! If it wasn’t for Morrison, we would be paying hundreds and maybe even thousands of dollars more in taxes each year, not to improve the communities, build schools or fight crime in communities where we live in the suburbs, but instead to support Preckwinkle’s spending on Chicago’s endless needs. A former Chicago alderman, Preckwinkle has made Chicago’s interests of more importance than the interests of suburbanites. Just over one year ago last week, Morrison forced the Cook County Board to reconsider the Preckwinkle Soda Tax and it was voted out by a 15 to 2 vote. It was an impressive effort to defend the rights of Cook County taxpayers, something many said was impossible. In response to the soda tax repeal, Preckwinkle went on a political rampage to punish those who supported Morrison and who pushed for the repeal. Preckwinkle openly targeted Morrison, and two members of her own Democratic Party, Cook County Commissioners John Fritchey and Richard Boykin. Last March, using her clout and Democratic Party funds, Preckwinkle unseated Fritchey and Boykin, replacing them with allies who she could depend on to support new countywide tax hikes that she is expected to introduce next year if her latest venture to run for Mayor of Chicago fails. When a few Arab Americans came up to me and complained, asking why I won’t support Rashid, they seem blind to any explanations. I’m not against Rashid. I am FOR Morrison. I AM against Preckwinkle because of her outrageous tax policies. 10-24-18 Column on How Toni Preckwinkle ousted the only Arab American on the Cook County Board. But I am not afraid to explain to them why. I oppose Preckwinkle. Preckwinkle is one of Rashid’s biggest campaign finance contributors donating more than $125,000, and possibly even more since the last financial report in September. I always wonder why these same Arab Americans who complain about me have never said one word about that fact that Preckwinkle also defeated Fritchey. Fritchey was the ONLY Arab American serving on the Cook County Board, until Preckwinkle, a Democrat, forced Fritchey, a Democrat, out of office. Fritchey, the son of a Vietnam Veteran, was unseated mainly because of Preckwinkle’s anger over his opposition to the soda tax. In addition to being the only Arab American on the Cook County board in its entire history, Fritchey may be the only Moroccan American to hold elective office in America. So much for Morocco being the first nation to recognize America in 1777. And so much for an Arab American on the Cook County board ousted because he fought against Toni Preckwinkle’s unjust and oppressive tax hike on the taxpayers of Cook County. Toni Preckwinkle has been falsely claiming how much she supports Arab Americans and Muslims. But the facts show that is in fact not the case. If Fritchey decides to run for another office, I promise you I will be there to support him. Right now, I need to support Morrison. THIS POST HAS BEEN READ 1402 TIMES SO FAR. THANK YOU!